The official trailer for Marvel’s The Punisher declares “The truth must be taken.” Jon Bernthal (The Walking Dead, Baby Driver) reprises his role of Frank Castle/The Punisher, introduced in season two of Netflix’s Daredevil, in the action series based on the popular comics. The Punisher cast also features Deborah Ann Woll (True Blood) as Karen Page, Ben Barnes (Westworld) as Billy Russo, and Ebon Moss-Bachrach (Girls) as Micro. Amber Rose Revah (Indian Summers) plays Dinah Madani, Daniel Webber (11.22.63) is Lewis Walcott, Paul Schulze (Nurse Jackie) plays Rawlins, Jason R. Moore (A Lonely Place for Dying) is Curtis Hoyle, Jaime Ray Newman (Bates Motel) plays Sarah Lieberman, and Michael Nathanson (The Knick) is Sam Stein. Showrunner Steve Lightfoot (Hannibal), Jim Chory (Marvel’s The Defenders) and Jeph Loeb (Marvel’s The Defenders) executive produce. Netflix hasn’t revealed the premiere date yet. 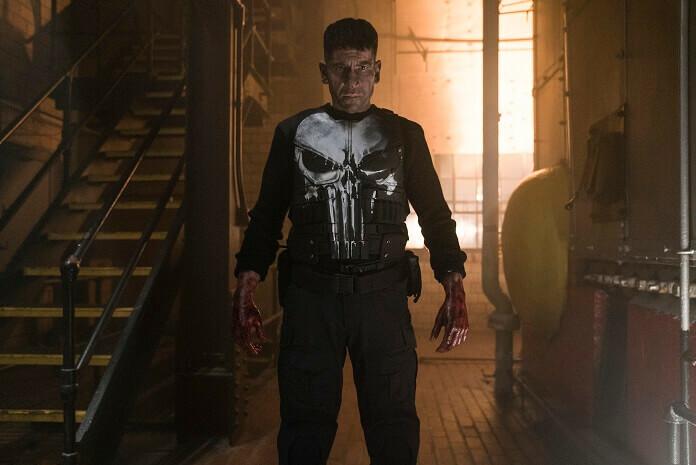 The Marvel’s The Punisher Plot: After exacting revenge on those responsible for the death of his wife and children, Frank Castle (Jon Bernthal) uncovers a conspiracy that runs far deeper than New York’s criminal underworld. Now known throughout the city as The Punisher, he must discover the truth about injustices that affect more than his family alone.